TECNOCO impianti s.r.l. born in 2012 to continue the activity of Tecnoco S.r.l. as Manufacturer and Supplier of Nitrogen Generator Packages. Tecnoco S.r.l. was established in 1976 as an Engineering, Consulting and Contracting Company operating in the petrochemical sector and working for important oil, chemical and engineering Companies for important Jobs. 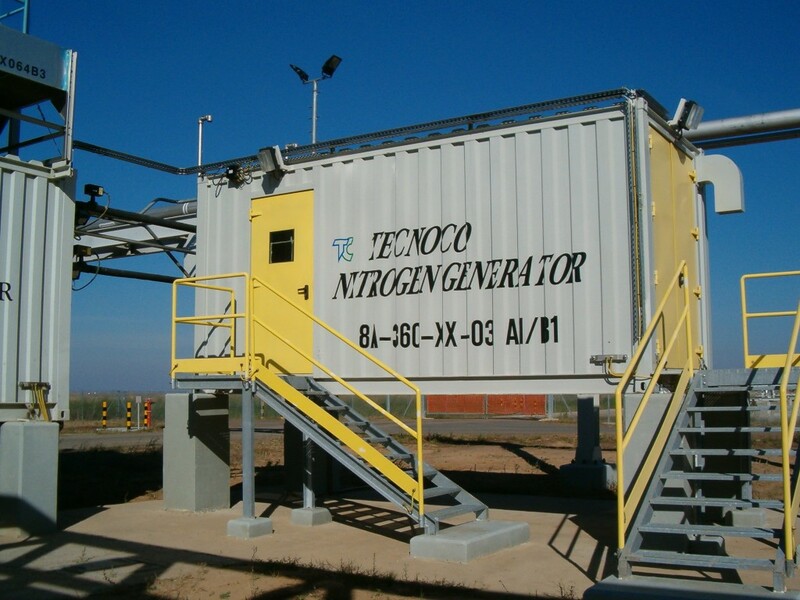 In 1980 Tecnoco improved its capabilities entering in the manufacturing of Packaged Systems like Well Testing Units, Gas Oil Separation Plants, Nitrogen/Oxygen, Gaseous/Liquid, Generators. In 1997 Tecnoco started the design and supply of CO2 removal from a gas stream through permeation technology. The result was the supply of a CO2 removal Plant for Methane Recovery at Agip Candela Gas Station, Faragola field. In 2012 Tecnoco’s founder and majority shareholder Giovanni Costa retired and liquidated the company, then, the two sons Francesco and Alessandro Costa, founded this new Company, called TECNOCO impianti, to continue the core business as well as to provide the Assistance and the original Spare Parts of the Nitrogen and Oxygen Generator Packages installed worldwide and maintaining the Know-How, perfected over the past 3 decades. ‑ PSA technology (Pressure Swing Adsorption), which briefly consists of the adsorption of the oxygen, the carbon dioxide and monoxide from a source of compressed air by mean of Carbon Molecular Sieves, whilst nitrogen is not adsorbed and reach the outlet as product. This technology is used also for oxygen production by adsorption of nitrogen and other air impurities by mean of Zeolite molecular sieves. -Permeation technology, which utilises particular Hollow Fibre Membranes which, when fed with compressed air, permeate oxygen, carbon dioxide and the water vapours whilst nitrogen passes through the hollow fibres for their total length to the outlet as product gas. This technology is also used for gas purification system as CO2 removal from CH4 . TECNOCO impianti is a Company with high flexibility and wide experience, oriented to a continuous technical enhancement and quality improvement for Customers and Users satisfaction.